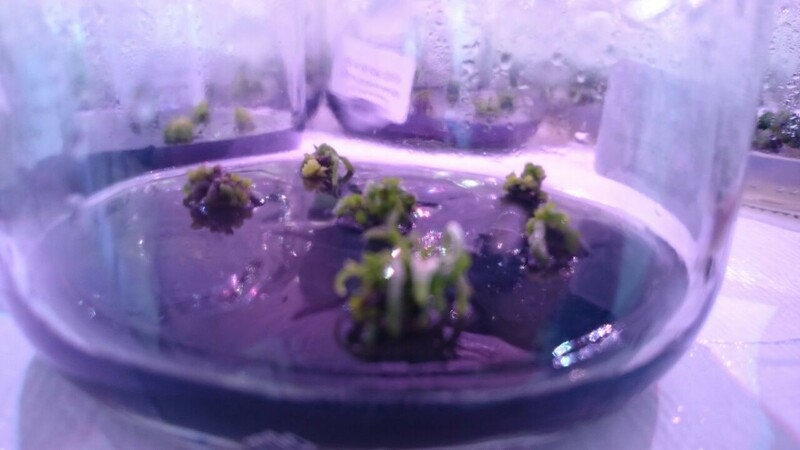 I have sent my zhejiangensis to the lab and I am told that instead of growth they just multiply. From the threads, I assumed that this might be due to its type.It's already been a year and since Zhejiangensis is both new to us we can't think of what could be the case. Maybe try different temperatures on the germinated seedling. Stress like high temp would cause them to multiply. Try less sugar in the medium. It is raised in Duchefa orchid maintenance medium with ac 1/2 ms iron,30 mmol -60 mmol - 120 mmole was tried. Here is the picture after 1 year growth in lab. The zhejiangensis keeeps multiplying in the lab. Here is the medium :1/2 ms 25 sucrose 2 activated carbon. I would really appreciate what to add or to avoid. have you replated sinve your post in june? I am not the one who is performing the lab work so I am not sure but they probably did.The temperature is 24C and the solution is the same as explained above. It is in this process for almost 1,5-2 years. Instead of growing it just keeps multiplying.